Leaves Jive Records - her debut album is lost in the bowels of Jive Records archives. Parts company with her management. Asked to collaborate with Steve White once more, for another Illicit Grooves album; they co-write the title track, A Certain Kind Of Freedom in a day. Appears at the San Remo Festival in Italy in a songwriting collaboration with the Italian artist, Riccardo Fogli. Teams up with German singer-songwriter Franz Benton to duet the song, Carry On, for German release. Performs at the Venice Opera House for the Italian prime minister alongside the likes of Placido Domingo. 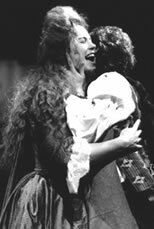 Appears as Lucy Lockett in The Beggars' Opera at The Royal Exchange Theatre in Manchester which earns her a Best Supporting actress nomination for The Evening Standard Awards. Asked to co-write and perform a song for the San Remo Festival with Riccardo Cocciante. She writes the lyrics with writer Cheryl Moskowitz and I'm Missing You comes first. It goes to No. 2 in the Italian charts and No. 1 in Greece. Sings all the songs on a BBC documentary about Steve Martland's (the English classical composer) personal view of Thatcher's Britain. 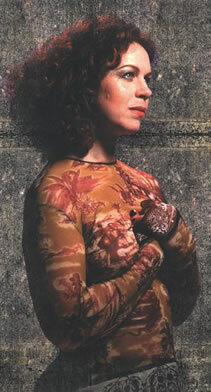 Sings on Glad Day, a Steve Martland EP for Factory Records. Tours with The Steve Martland Band to Amsterdam, Vienna and the UK, culminating in a three-night stint at the Bloomsbury Theatre in London. Appears with Andy Bell, Lene Lovitch and Herbert Grönemeyer on Peter Hammill's Gothic opera album, The Fall Of The House Of Usher, playing the part of the chorus. (re-released as The Fall Of The House Of Usher (Deconstructed & Rebuilt) in 1999). Guest vocals for a Matt Bianco album Great casino bonus UK offer will bring you free spins that you can use on the best online slots as well as tons of cash. Co-writes, with Andy Roberts, the theme song, I Am A Woman, for Antonia Bird’s BBC TV series The Men's Room. Performs in Rome with Astrud Gilberto and Cassandra Wilson at an event called Swing Ladies , for 'Giorno della Donna' (International Women's Day). Other artists included Monserrat Caballé, Chaka Khan, Rickie Lee Jones and Joan Armatrading. Heaven, is recorded for Virgin Records and is distributed throughout Europe with the exception of the UK due to the timing of the EMI take over. 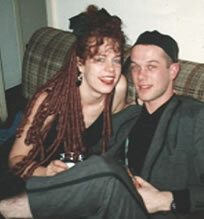 Marries long term boyfriend, David Coulter of Pogues fame. Appears on an album, called Soft Songs, for Virgin by Italian keyboard player and producer Gianni Nocenzi and Ryuichi Sakamoto. Begins to manage her own career, trying to work the UK Market for the first time in years - concerts at the Jazz Café and a sell-out week at London's Ronnie Scott's help put her back on the map in the capital. 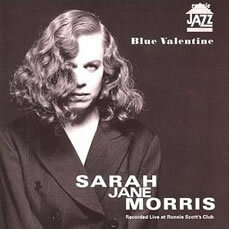 Blue Valentine, her third solo album is recorded live by the Ronnie Scott’s club's record label 'Jazz House'. Appears at The Everyman Theatre in Liverpool in Blues In The Night. Stars in and writes the music for a short film for Channel 4 about a woman who is, but doesn't want to be, pregnant (whilst pregnant herself). Otis Jack Coulter is born on the 3rd of February. Presents a five-part series for Radio 3 about Jazz. Appears at a concert with Chrissie Hynde and Sinead O'Connor called What Women Want, co-organised by her husband and Lynne Franks. Tours Europe taking Otis with her. Moves the family to the country. Appears with The Royal Liverpool Philharmonic Orchestra in Prague, Vienna and the UK, singing a cycle of Kurt Weill songs. Three weeks at Ronnie Scott's in London. A week at Ronnie Scott’s Birmingham home. Guest on a track called Visions of You for Sony Records in Greece which goes to No 1. Signs a worldwide deal with Italian label, Irma Records. Guest on The Same from the album Dammi 5 Minuti for Italian rock group, Stadio, released on EMI. Travels to New York to record with Mike Thorne for his latest album project involving Lene Lovitch and New York band, Betty. Begins the process of co-producing her fourth solo album, Fallen Angel. Her father dies from cancer; bereavement counselling follows. Returns to New York to put the final vocal touches to the album, Sprawl with Mike Thorne. A knee operation in June sees Sarah Jane wheelchair-bound for a tour of Italy. Fallen Angel released in Europe and Japan in October. TV appearances and a European tour. The first single is Ever Gonna Make It. Joins forces with a new management team called Kaleidoscope Music, who help to get a UK release for the new album - the first proper UK release since the banning of Me And Mrs Jones in 1989. 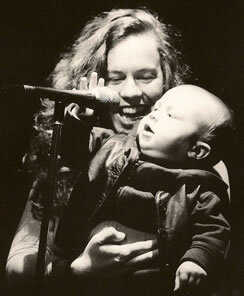 Travels to New York with her son to attend the release party for the Sprawl album. Tours England and Europe promoting the Fallen Angel album. Radios 2 and 4 get behind the album and a new profile is beginning. Successful concert at the Royal Shakespeare's Other Place Theatre, close to home for Sarah Jane, who started her career at Stratford's local drama college 21 years before. 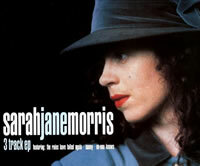 Sings all the vocals for a BBC film called Summer In The Suburbs, music written by the award winning John Harle.